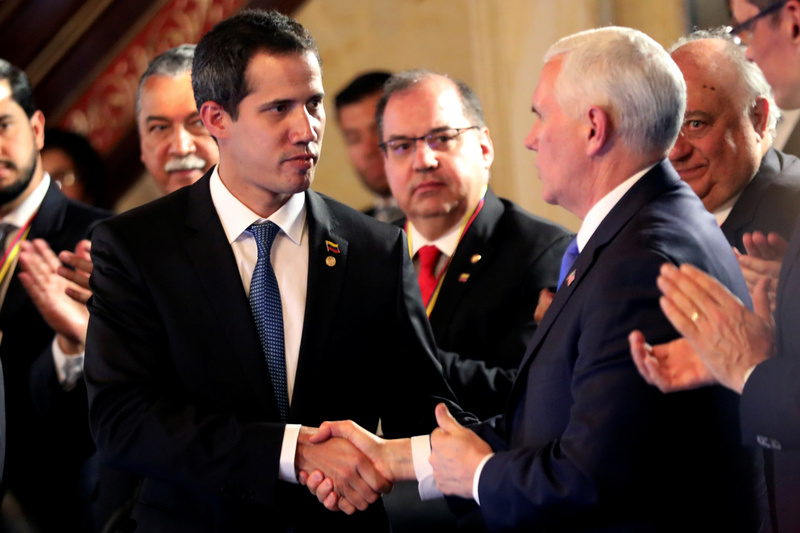 U.S. Vice President Mike Pence reinforced the Trump administration’s commitment to ousting Venezuelan President Nicolas Maduro on Monday to make way for Juan Guaido, the opposition party leader who claimed the presidency in January. Pence said he wanted to assure Guaido the weekend’s events strengthened U.S. resolve to help, according to The New York Times. “We are with you 100 percent,” he said. The Trump administration’s announcement comes after a bloody weekend on the Venezuelan border. The Venezuelan army controlled by Maduro fired on U.S.-backed convoys attempting to bring aid to the country’s impoverished and starving people. The conflict killed at least three people and wounded 300. U.S. President Donald Trump ordered a freeze on all U.S. assets of Venezuela’s state-owned oil company Jan. 28, cutting off the Maduro regime from its main source of income. The White House continued to increase the pressure on Maduro Monday by going after the assets of governors friendly to the embattled leader and urging other nations to do the same. Defections are mounting in the Maduro regime. Hundreds of soldiers fled the Venezeulan military to join Guaido and military diplomats to the United States and the United Nations have publicly denounced Maduro’s government. Other world leaders, including the U.S. and Brazil, officially recognize Guiado as the Venezuelan president.